High in carbohydrates which means they are a great instant energy source, but unlike processed foods which are high in carbohydrates, beets will energize your body. Beets can be regarded as body fuel. 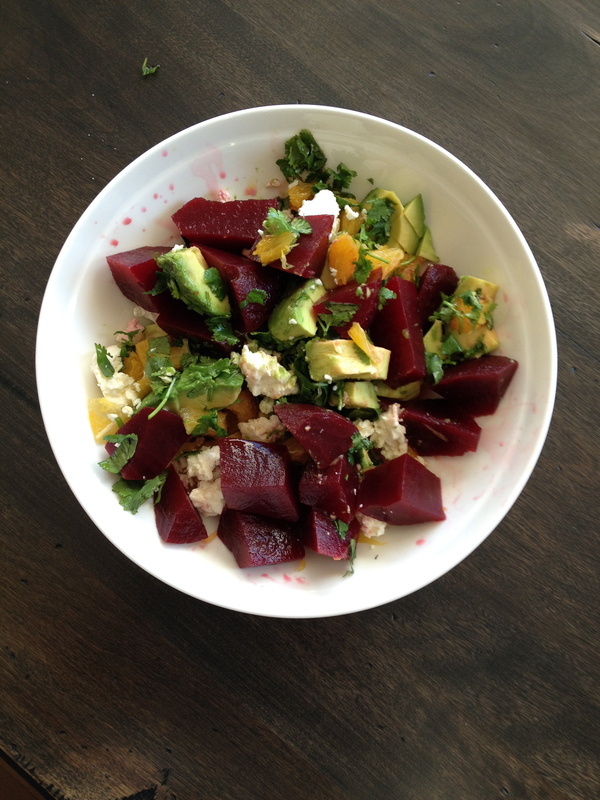 Beets contain sodium, magnesium, calcium, iron and phosperous! They are also considered a fiber food and contain vitamins A and C as well as niacin! Studies have shown that beets guard against cancer, especially colon cancer. Roast your beets, cool, peel and slice or cube. You can always use can, but fresh is best! Toss in your orange, avocado, spinach, drizzle with oil & vinegar, toss, and top with a handful of feta and cilantro. You can make this as a side or add some chicken for a great meal!